When Leonardo Brito became chief of police at the Police Specialized in Crimes Against the Environment (DEMA) in Brazil’s Amapá stated, he noticed that the department hardly ever investigated environmental crimes. 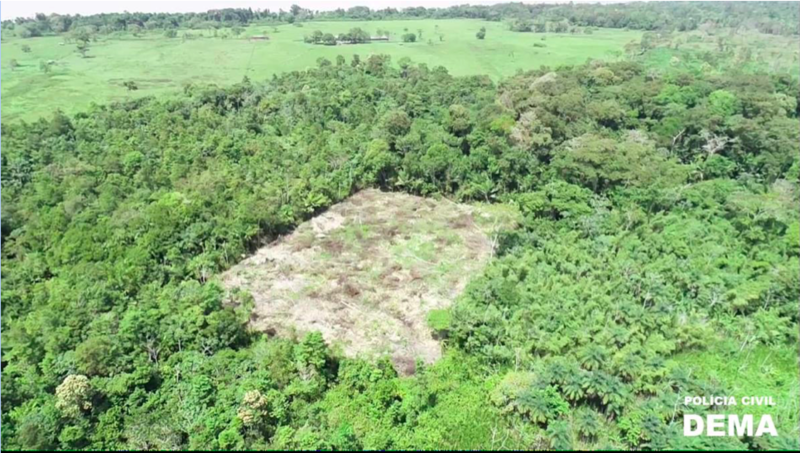 The reason: locating isolated illegal deforestation events in Amapá’s Nepal-size rainforest was like finding a needle in a haystack. So Brito started researching methods to make this easier. In the process, he discovered the online forest monitoring platform Global Forest Watch and its mobile app, Forest Watcher. These tools visualize areas of tree cover loss detected by satellites. Using Forest Watcher, DEMA has been able to detect 5,000 areas of deforestation in Amapá and conduct more than 50 operations combatting illegal deforestation over the past eight months. Brito and his team are sharing their knowledge and techniques with environmental police and conservation officials in other states. Rural community of Ambé, in the region known as Lake of the Manatee, one hour by car from the capital, Macapá. Offenders deforested a permanent preservation area (APP) and built artificial lakes for aquaculture. Image courtesy of DEMA-AP. To make matters worse, Brito discovered DEMA’s infrastructure is quite limited. The agency consists of 12 employees, two vehicles, a boat and a drone, which collects only 20 minutes of footage at a time, to patrol an area of forest the size of Nepal. Last month, DEMA’s two phone lines were cut for lack of payment from the state government. The staff would like to buy a second drone, but there is no money to do so. Brito, however, went ahead. “If we lacked [material] resources, we would invest in knowledge,” he said. He started researching satellite systems that detect deforestation and found PRODES and DETER, run by Brazil’s national space research agency. Deforestation of native forest in the municipality of Porto Grande on the banks of the Araguari River. Image courtesy of DEMA-AP. Then he came across Forest Watcher, a free app produced by the online forest-monitoring platform Global Forest Watch (GFW). Forest Watcher is able to detect much smaller areas of tree cover loss than can PRODES and updates much more often than DETER, allowing Brito and his team to intercept deforestation events as they’re happening. “While DETER uses spatial resolution images of 250 [square] meters (820 square feet), Forest Watcher alerts have a resolution of 30 [square] meters (98.4 feet), and therefore detect losses on a much more accurate spatial scale,” Brito told Mongabay. DEMA police discovered that deforesters, aware of DETER, were clearing areas smaller than 250 square meters to avoid detection. 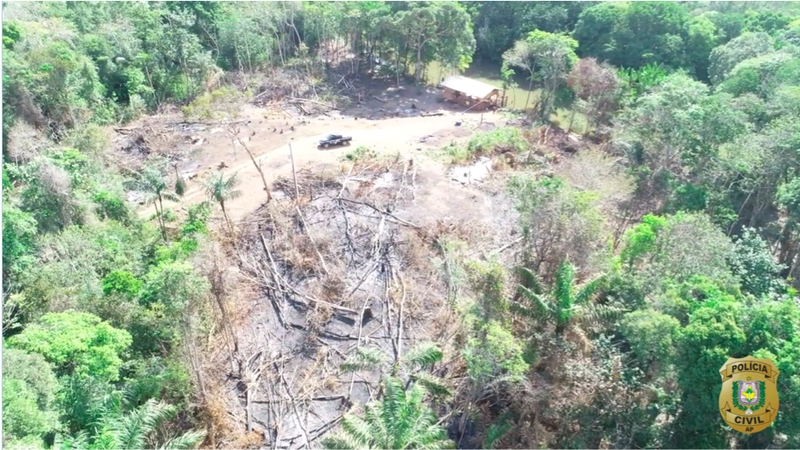 But by using Forest Watcher and its higher resolution data, Brito and his team have been able to locate logging operations and identify and indict offenders. Brito said that since they starting using the app, Amapá’s environmental police have been able to detect 5,000 areas of deforestation in the state, both legal and illegal. He adds that every day he sees new locations to add to the ever-growing list. When a new deforestation point is identified, the agents first investigate remotely to confirm the deforestation and determine whether or not it is happening legally. To do this, they use a combination of several systems together with Forest Watcher, including Google Maps, NASA’s Earth Observing System, Esri’s ArcGIS, GFW Fires and GFW Water. When they confirm deforestation is happening illegally, a field team goes to the scene to arrest the offenders and seize equipment. 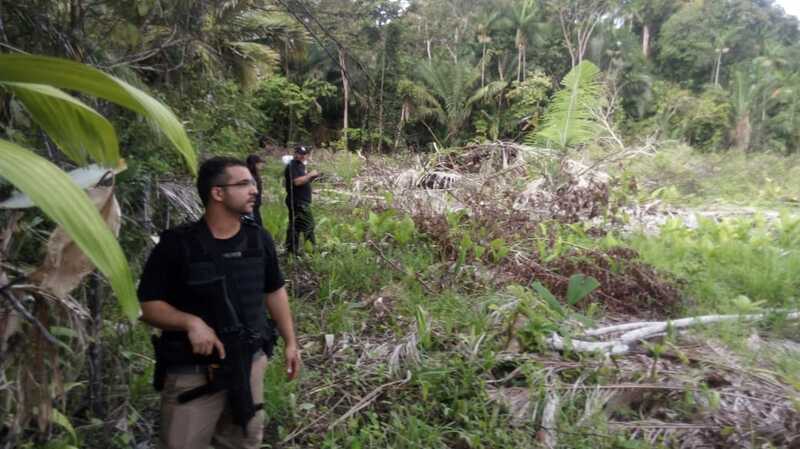 Environmental chief police Leonardo Brito and his team examine a deforested area. Image courtesy of DEMA-AP. Brito, who doesn’t speak English, used Google Translator to contact staff at the World Resources Institute (WRI) who helped him refine his searches. WRI is the parent organization of Global Forest Watch. “Forest Watcher was originally piloted by the Jane Goodall Institute in 2016 with forest rangers and community monitors in Uganda,” said Liz Bourgault, a WRI research analyst for Global Forest Watch. “The thought was that if we could get the deforestation data into the hands of these forest defenders, they could have more effective patrolling and land management. Over the past eight months, DEMA has carried out more than 50 operations combatting deforestation at sites found through Forest Watcher, several catching loggers in the act. Brito and his team have made several arrests and seized five logging trucks, 12 chainsaws and 11 firearms. Brito said 80 percent of those responsible for these deforestation events have been identified, some of them local politicians. 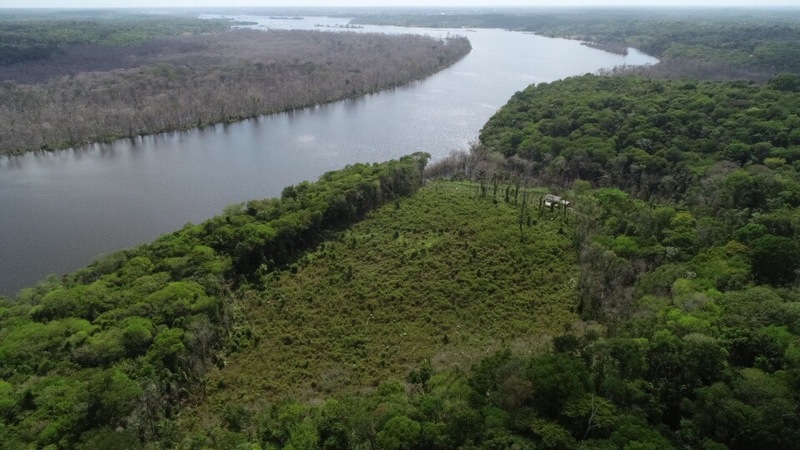 An area of recently cleared rainforest that Brito and his team located via Forest Watcher. They discovered that deforesters are clearing small tracts at a time so that they’re not detected by national forest monitoring systems. However, GFW and Forest Watcher are able to detect these smaller areas of tree cover loss. Image courtesy of DEMA-AP. A recently deforested area. Image courtesy of DEMA-AP. 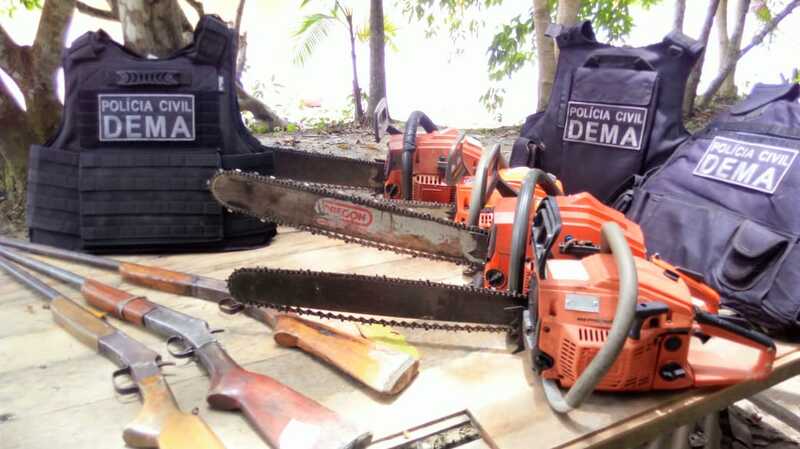 Chainsaws and firearms seized from sites of illegal deforestation. Image courtesy of DEMA-AP. In addition to arresting transgressors, DEMA also compiles cases on locations of illegal deforestation that they detect after clearing has stopped. DEMA sends these cases to the Public Ministry of the state of Amapá, which files public civil action requests to help reforest affected areas. According to Brito, those found guilty of illegal deforestation can face prison terms of between one and four years. But he cautioned that “the judicial system in Brazil is very slow; it takes a long time for a person to be punished,” which can further complicate the situation. Encouraged by the results, the DEMA team keeps refining its investigative techniques. Some of them are studying how to calculate the volume of timber found on trucks. Brito has been researching how family farming and solidarity economies (e.g., an association of local businesses) can help deforesters change their livelihoods. 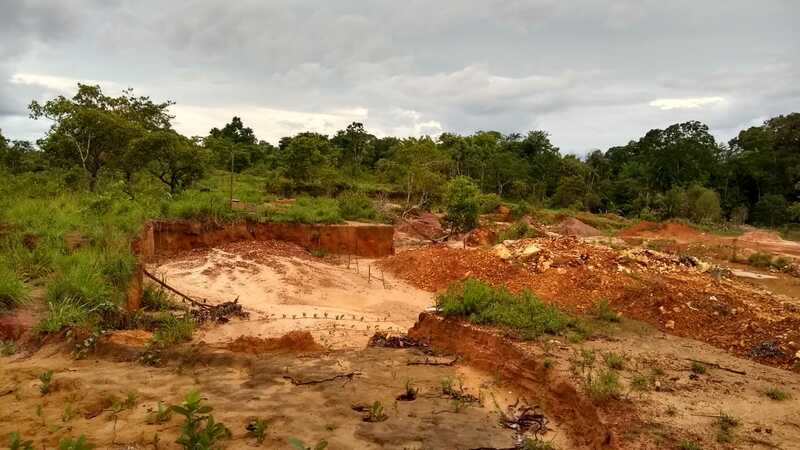 Illegal gold mining in the municipality of Tartarugalzinho. At the site, DEMA found people living in slavery-like conditions. Image courtesy of DEMA-AP. However, that there are still many obstacles to overcome. For instance, the environmental police in the state of Bahia do not work exclusively with environmental cases and their focus on other sorts of crimes often leaves no time to devote to environmental investigation, according to Brito. 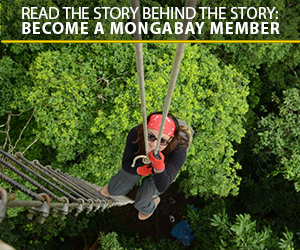 Mongabay reached out to Brazil’s Ministry of the Environment, but a spokesperson for the ministry declined to comment. However, on March 27, Minister Ricardo Salles hinted on Twitter that he is preparing an alternative system to monitor deforestation in the country. According to Folha de S.Paulo, the system would use satellite imagery from the U.S.-based organization Planet Labs, which has a spatial resolution of between 3 and 5 meters (9.8 to 16.4 feet). In terms of resolution and updates, imagery from Planet Labs would be an improvement over monitoring systems like PRODES and DETER. However, some say that the systems that are currently used are adequate for most purposes and adopting a new one would be prohibitively expensive. The cost for Planet Labs coverage for the entire country is estimated to be R$ 33 million (US$ 8.5 million) per year – about 55 times more than the annual operating costs for Brazil’s national space research agency. In addition, Salles was convicted of “administrative impropriety” while he was heading a state environmental agency in 2016, leading some to question his effectiveness in his new position as environment minister. Critics say that Brazil would pay twice to have essentially the same forest monitoring system it does now, and even Brito said that this potential purchase would be a waste of public money. He is in favor of using GFW and Forest Watcher to augment current systems. An area of deforestation in the state of Amapá. Image courtesy of DEMA-AP. In the meantime, Brito is working to share the techniques he and his team have learned to other Brazilian states. He has contacted the environmental police in Pará, Rondônia and Tocantins, as well as in Bahia, his home state, to encourage them to use the GFW system and to show how it can be combined with other systems. 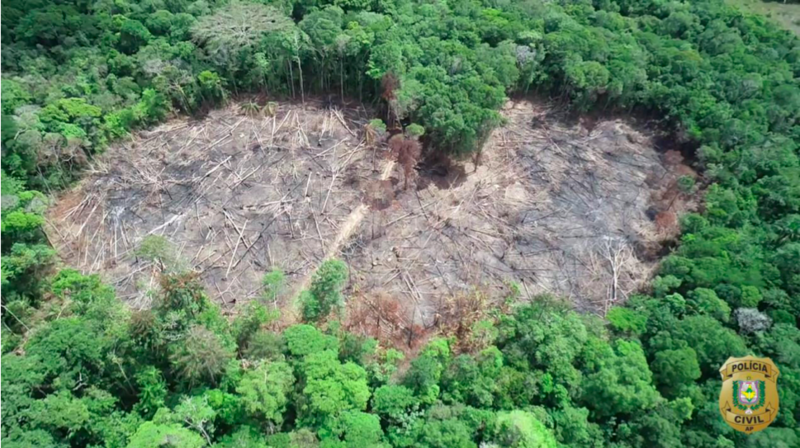 With the exception of Pará, other states’ police teams have shown interest in using satellite data and imagery to locate illegal deforestation, and the Amapá team is preparing a course to help them do so. Brito said the head of the environmental police of Rondônia is even planning to visit DEMA-Amapá to learn about the techniques they use. In Rio de Janeiro, the director of Desengano State Park conferred with Brito’s team and, after instruction, the park’s conservation unit has begun using GFW to protect its forest. “We, as Brazilians, think we are the owners of the Amazon and that it will exist forever, because it is huge and well preserved, but this is not true,” Brito said. “When we get out of or own ignorance and become aware of the unscrupulous exploitation of the Amazon, it gives us a sense of impotence and shame. Brito said this feeling of shame and helplessness motivated him to research and use GFW and Forest Tracker in an effort to help stop Amazon deforestation. 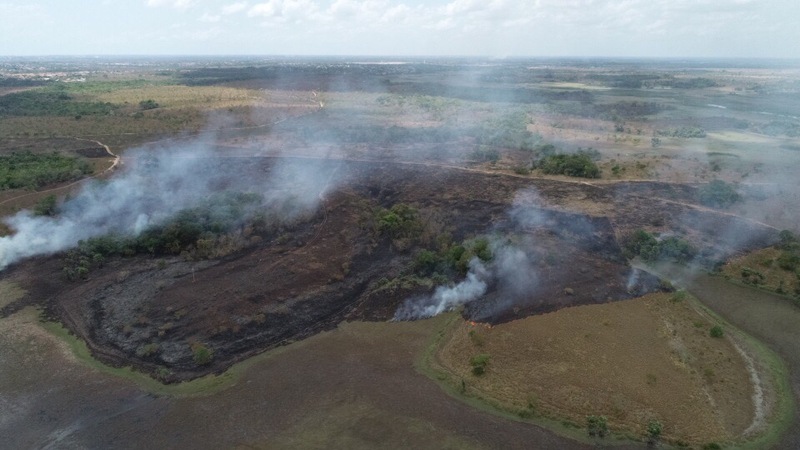 Banner image: An area between Macapá and Porto Grande recently burned of native vegetation to convert it for agriculture. Image courtesy of DEMA-AP.